Incoming lawmakers often use Bibles during their swearing-in ceremonies, but not many employ a tall stack comprising nine copies of the Good Book. Yet that’s exactly what Ohio’s new governor, Mike DeWine, a 72-year-old Republican, did shortly after midnight Tuesday morning. A spokesperson for the new governor told The Cincinnati Enquirer DeWine and his wife wanted each Bible to represent each of their eight children. 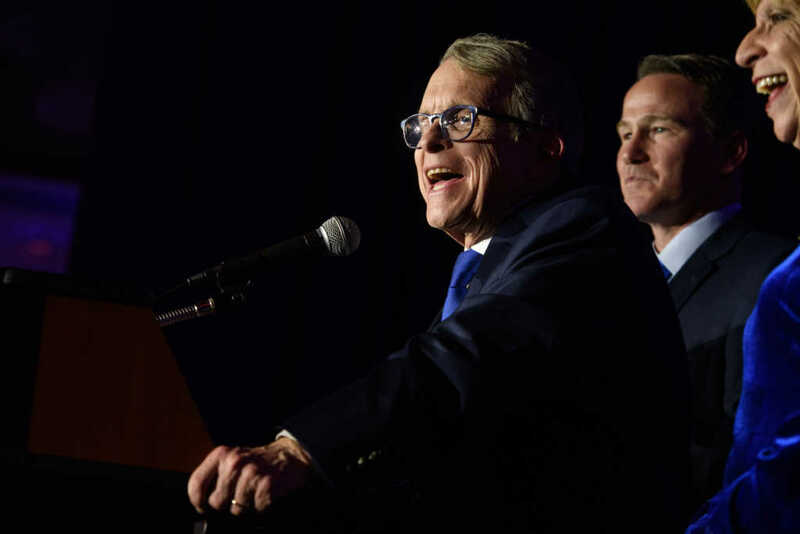 Following his inauguration, which DeWine themed “Faith, Family, and Friends,” the Republican governor — the oldest in the state’s history — signed six executive orders, including the creation of the Recovery Ohio Initiative, which will assist in the state’s anti-drug efforts, and the Children’s Initiative, which is dedicated to addressing infant mortality and educational gaps in lower-income demographics.